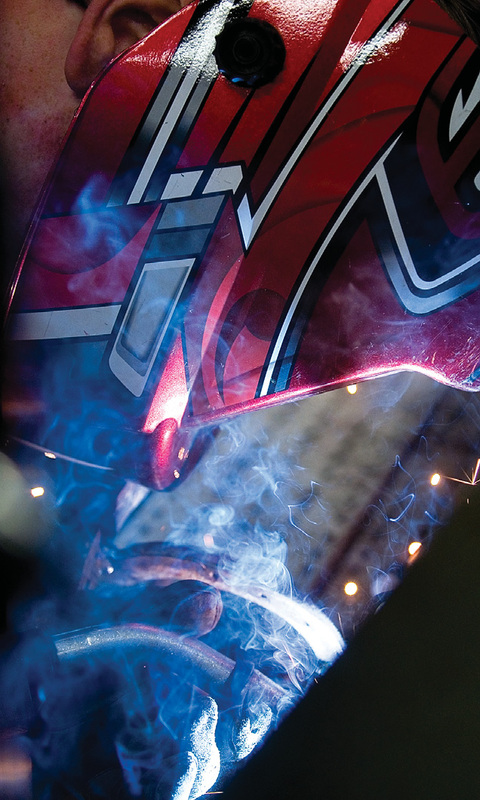 PHOTOS BY JAMES QUIGG, DAILY PRESS WELDING CLASS: Nathan Zimmerman works on turning horseshoes into a pencil holder in a welding class at Apple Valley High School. 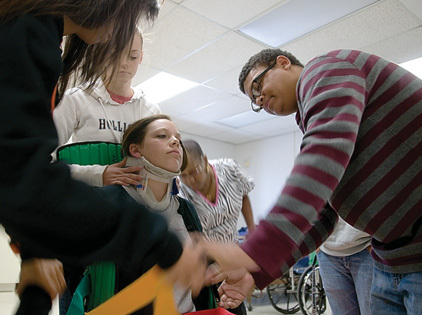 FIRST RESPONDER CLASS: Students in a first responder medical class, part of Apple Valley High School’s Steam 20-20 program, practice strapping a patient in supports as they would at a traffic collision scene. The class is part of a series of courses preparing students for careers in emergency response.